The best way to talk to us is to come and visit us down at the club. You’ll normally find people to talk to on Saturdays 1pm – 4.30pm and on Sundays 11am – 5pm. 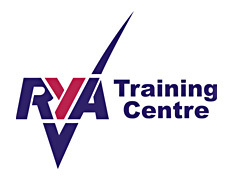 If you’d like to talk to us about learning to sail or our training courses then please fill out our form. If you’d like to talk to someone about joining then please submit an online application. This way your queries will get sent straight to the right person. If you notice a problem with this website, please let us know. Examples might be broken links, things not displaying correctly or not being able to see something. Email webmaster@trimpleysailingclub.co.uk and we’ll get it sorted. Trimpley Sailing Club is close to Bewdley and Kidderminster, but our sphere of influence stretches a little further afield, with members from Stourport, Worcester, Stourbridge, Halesowen and many other places around the West Midlands, even out to Ludlow and Leominster. We’ve put to together a whole page with directions and maps and everything to help you find us.